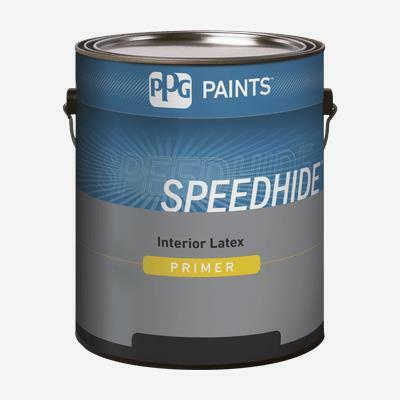 SPEEDHIDE® MaxPrime™ Interior Latex Primer/Sealer is our best professional high build interior latex primer and is formulated to meet the performance requirements of professional applicators. SPEEDHIDE® MaxPrime™ Interior Latex Primer/Surfacer ensures the finish will be a smooth and uniform sheen by minimizing the differences in both porosity and texture between drywall paper and joints. It also minimizes drywall imperfections such as minor sanding grooves, pinholes, and nicks. Recommended for use on properly prepared interior gypsum wallboard-drywall.